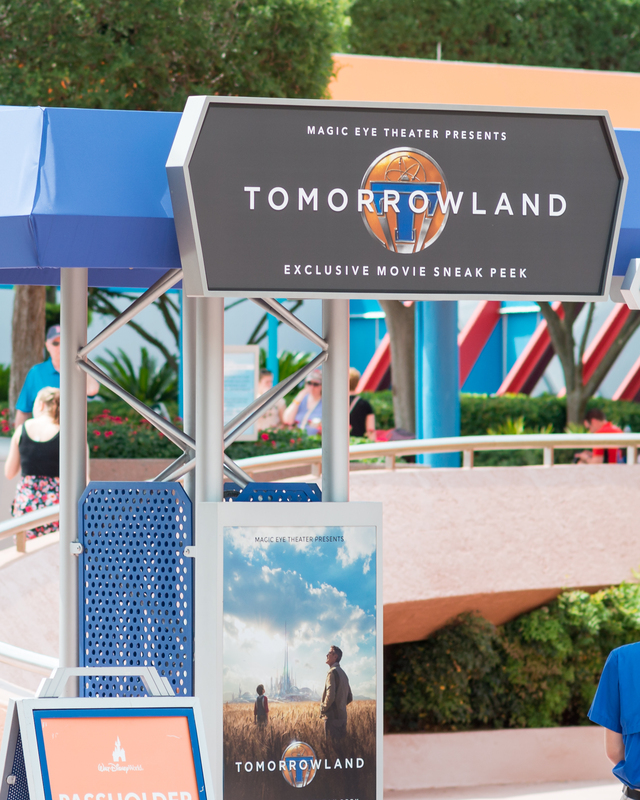 Just a brief post today… I stopped in for a quick visit to Epcot this morning for the Annual Passholder preview of the “Tomorrowland” movie. This is basically a 12-minute “tease” for the film. I won’t give anything away here, but let’s just say that I’m really looking forward to the movie! Here’s a picture of the entrance to the preview at Epcot. 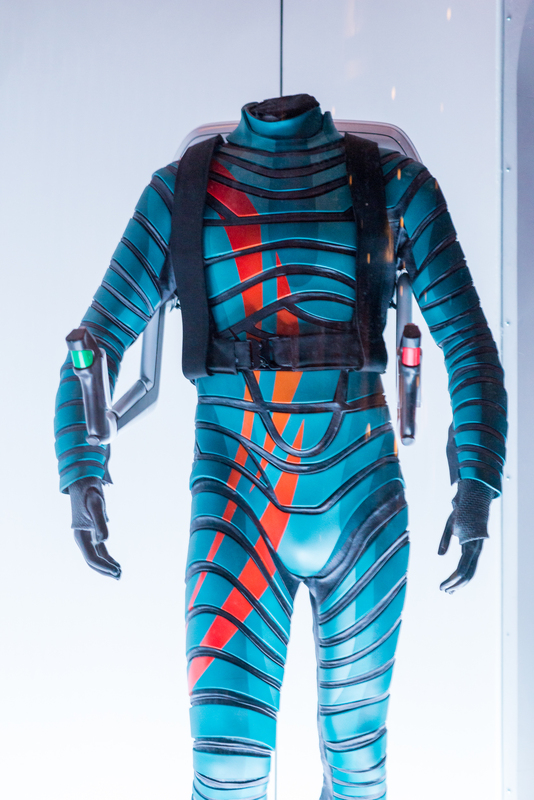 This takes the place of Captain EO. Not sure if EO will eventually return or not, as there are conflicting stories on social media about this. This was the only prop on display. Countdown timer told us how much longer we had to wait for the preview to begin. 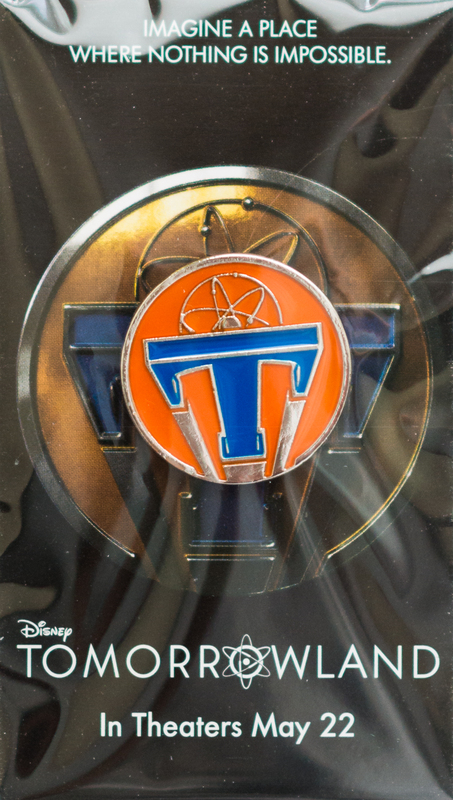 They were handing out these pins to annual passholders. Still not sure if I dare open the package and actually touch the pin or not, lol. If Epcot wants to do this fine, but it’s really difficult for EO fans because now they have virtually nowhere to see this movie anymore. Plus, Disney officials never gave much notice of its departure, and that right there is truly heartbreaking for those few who did like it. 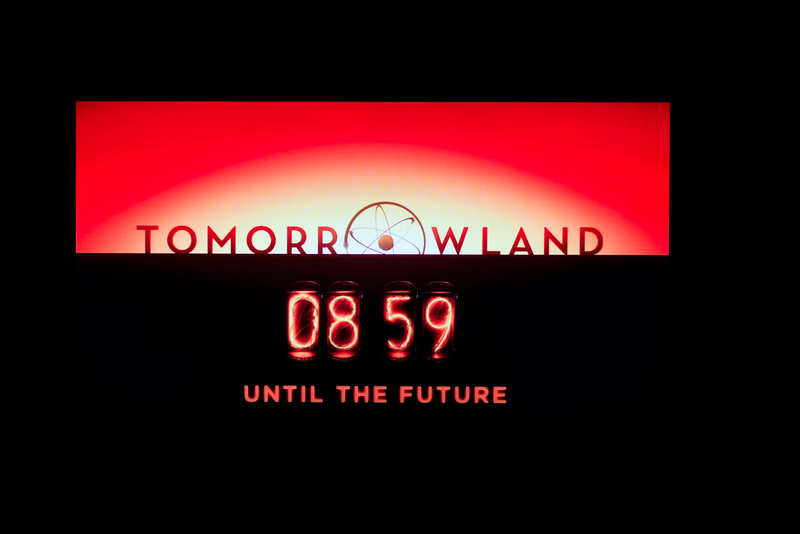 What’s interesting, Tim, is that there seems to be conflicting rumors/speculation on whether EO will return after the “Tomorrowland” movie preview finishes its run. I think we’ll have to stay tuned on that one.